BANRO Corporation, the Toronto-listed gold company, issued a blunt SOS today that it was running out of cash and funding options in order to service its debt, and provide working capital for its Democratic Republic of Congo (DRC) operations, one of which is suspended owing to the threat of armed violence. A special committee established by Banro Corp’s board, and consisting of independent directors, had concluded that the chances of raising capital either through a share issue or through traditional debt finance, or a combination of the two was remote – a view partly held by Banro’s financial advisor, the company said. “Due to the significant uncertainty surrounding the company’s ability to continue as a going concern, the company will not be in a position to release its interim unaudited condensed consolidated financial statements and related management’s discussion and analysis for the period ended September 30, 2017,” it said in a statement. 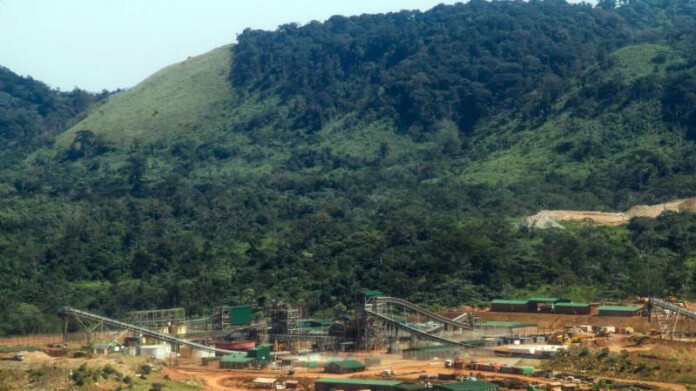 Banro operates two mines in the DRC – Namoya and Twangiza – and reported production of 48,830 ounces for the third quarter in October. Production at Namoya was down 38% year-on-year, however. Reported clashes between militia groups against each other, as well as the DRC national army, had made access to the mine unsafe. Production was therefore suspended at the mine in September. The company also announced at the time that it had agreed deferrals of gold deliveries with certain shareholders in order to keep itself liquid. The deliveries are part of a recapitalisation of the company’s convertible notes in April in which it signed gold forward contracts to raise cash, and issued new shares. “The committee reported that it is in discussions with the company’s major stakeholders concerning the possible restructuring of the company’s non-DRC debt obligations as well as the provision of financing to support the company’s ongoing operations in the DRC,” said Banro. “There is significant risk that any restructuring of the company’s non-DRC debt obligations may result in significant impairment to the value of the equity holders’ interests in the company. The company continues to take all steps necessary to ensure the continuity of its operations in the DRC. Shares in the company jumped from a mere 8 Canadian cents/share in June following the recapitalisation to 78c/share, but have since gradually fallen in value to their current level of 31c/share. This company has always been 6xmonths away from resolving its liquidity problem since 2013. All these liquidity issues arose when BAA undertook to build Namoya ( YES, without a Feasibility Study) BUT with PFS, for $115M. That Namoya project CapEx soon became $200M, then $250M and management swore it would be $850M. So the RFW & Gramercy chaps have scored themselves some assets of >$850M with 2P >5Moz, for their mere $175M financing lend to Banro over the 3-4 yrs. That’s a stunning return on Investment! 1. Namoya CapEx Blowout : This mine was fully funded when it was sanctioned, but the blowout was just too much, from $115M to $450M. This broke the camel back and there was no way out, more so when short maturity bond notes were used to finance it. 2. Lousy Operational performance: These assets ( Namoya & Twangiza) were meant to be low cost at AISC $900/oz at Gold price of ±$1250 whilst carrying debt of >$190M ( with interest bill FY16= $45M/yr) , with ±20% streams at $400/oz gold prices , SO IT WAS NOT GOING TO END WELL! To put underperformance in context, LoM to 9MFY17, both these assets , according to their respective Tech Reports, should have produced total= 980Koz BUT actual production = 432Koz/yr ……THAT’S LOUSY! SO THE CHICKENS HAVE COME HOME TO ROOST! Would be an interesting exercise to run through all the financings this company has undergone over the last fifteen years, and total up this amount. This can be easily established off TSX SEDAR. I am sure that these financings would amount to almost (if not exceeding) US $1 billion. Must be the most expensive US $ spend per ounce of resource declared in gold mining history. Whilst not a complete fraud, some hard questions should be asked by the regulators in Canada as to where that money went, and who exactly benefited from this dissipated capital. Directors and management (both past and present) should explain themselves to shareholders. Banro has raised , since 2004, a total of $918M ( Equity = $530M ; Debt/Streaming etc = $389M ). But there are addtional funds invested when you consider FCF from Twangiza subsequent to it getting into production. Hidden Valley of Harmony is the most expensive US$/oz extracted at > $800/oz. It is just pure incompetence by successive management teams , more so post Twangiza. Namoya Project was utterly appallingly mismanaged and the only winners were contractors, namely MDM Engineering and various suppliers/vendors. Thank you for making the effort to do the calculation. The history of this particular endeavour is well documented on the internet, particularly the litigation against the DRC some 20 years ago (pre-2004). If you include the capital from this time, as well as your correct assertion that additional capital was expended from cashflow over the past few years, we are well north of US $ 1 billion. I have always been somewhat taken aback by the generous share options issued to directors and management over time, as well as the explanation of “zombie directors” in Canada as presented on the internet (those directors that are not given a mandate by shareholders, but which Canadian law permits to remain on the Board), some very serious questions should be asked of the directors by the regulatory authorities. This appears to be a company whose sole purpose was to maintain the lifestyles of certain of these directors, their return does not seem to be concomitant with the return for shareholders and providers of capital. If the record of some of the long serving directors is examined with regards to other companies on whose Boards they serve, they appear to be skilled in nothing more than the destruction of value with respect to everything they touch. Where are the US and Canadian regulators when you need them. I understand that Randgold Resources made advances on this particular company some 10 years ago. If that had succeeded, the outcome for shareholders would have been much different. Thank you once again for your analysis. Well, my sentiments are by enlarge similar to yours. Frankly, Banro was a Canadian mining company , with listings in the NYSE. I can assure you that, Randgold Resources NEVER made advances on Banro. From its exploration portfolio, they always had superior targets than all of Banro’s targets. including the nearly-successful Twangiza. Randgold only made advances on Ashanti Gold ( for Geita) and Sutton Resources ( for Bulyanhulu). AGA bought Ashanti and Barrick took over Sutton Resources. The BHP Mali exploration permits are the cornerstone of the success of Randgold Resources. You will also realise that there was trepidation by Randgold to do a deal with Moto, despite the now successful Kibali Mine, because Randgold has always avoided DRC. And this Moto deal (Kibali Mine) is the only asset that they have been involved in outside the acquired old BHP Mali portfolio ( Syama Mine & exploration permits ( mainly on the Mali-Senegal Shear ). On Banro Directors, the bigger winners from the whole saga has been Arnold Kondrat (Director & founder) & Gramercy (with RFW). Arnold Kondrat had all non-redeemable Pref Shares of Banro which paid him ±2% of Total Banro Production ( akin to Revenue Royalty ). So he scored big, if you include his shares ( 63M shares). I have mentioned how Gramercy, and RFW have swooped , with the help of Directors, on Banro. Banro shareholders do have course to feel aggrieved & swindled. nice anlysis, but what would provide a alternatives to manage not to sink? Its late in the game for any corporate salvage that will include the long suffering Banro minority shareholders. They have been robbed of their mines. Gramercy & RFW are now so entrenched that they are unlikely to be dislodged : they own the debt & are major shareholders ! So the game is well & truly up!